M Money transfer is a common method of providing payment for commissions, contracts or expenses to global payees. To receive the money transfer, the recipient must have a bank account, wait from several hours to several days for transfer completion, and pay fees for each transfer. Cross-border wire transfer fees can reach $20-$40 per transfer, especially in developing countries like Brazil, Russia, India and China, where money transfer services take even longer, have substantially higher fees and require the payee to maintain bank accounts affiliated with International banks - where many payees may not have a bank account, and have to pay high fees just to maintain the bank account. matrixcardsolutions international prepaid card solution provides a fast, less expensive and convenient alternative to electronic check vendors. 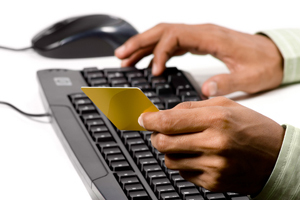 Through matrixcardsolutions, a company�s online payment to a prepaid card is available immediately with a minimal load fee. The recipient may use the prepaid MasterCard� card everywhere Debit MasterCard is accepted at Point-of-Sale or online, free of charge, and may withdraw funds in local currency at an ATM for a nominal charge.